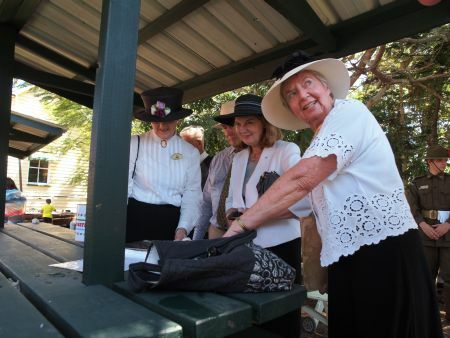 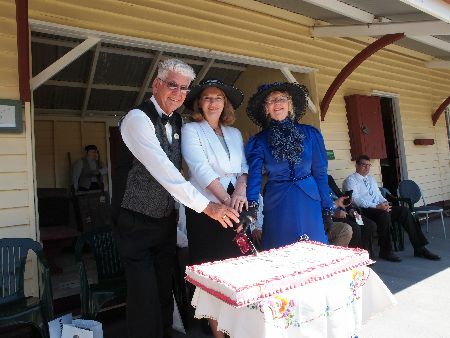 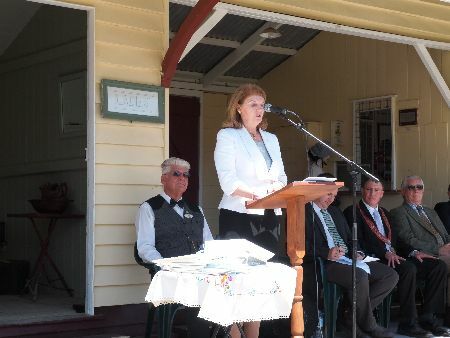 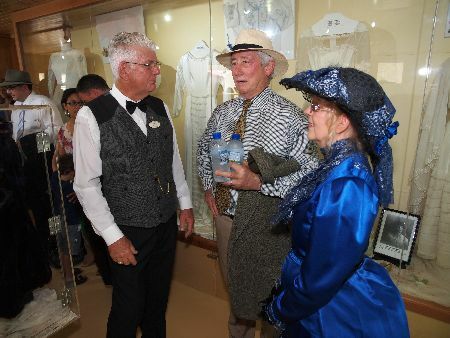 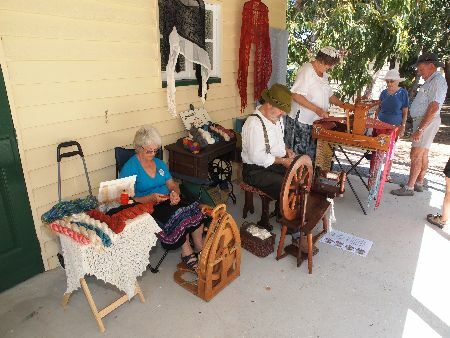 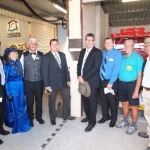 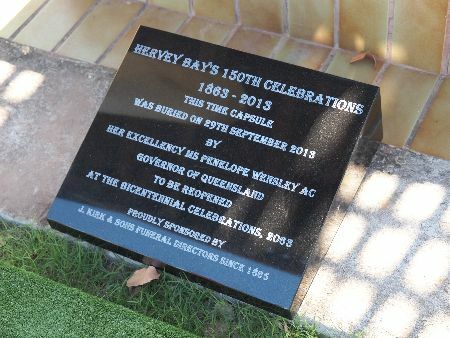 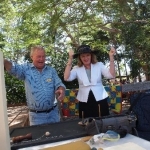 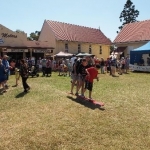 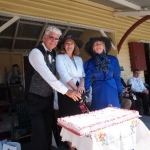 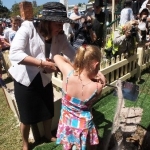 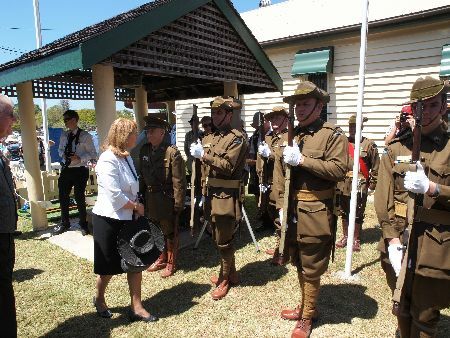 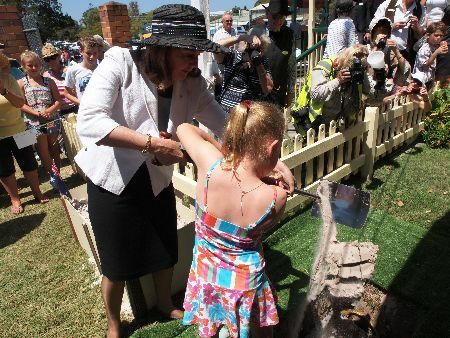 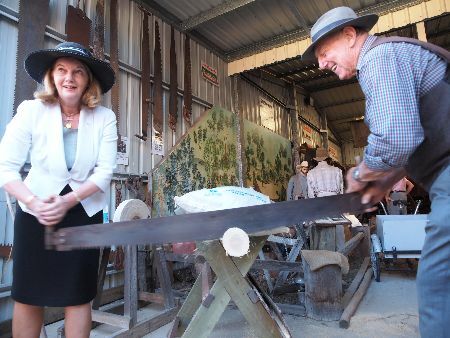 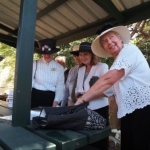 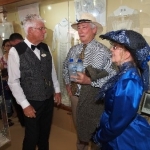 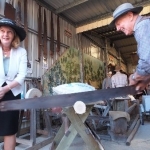 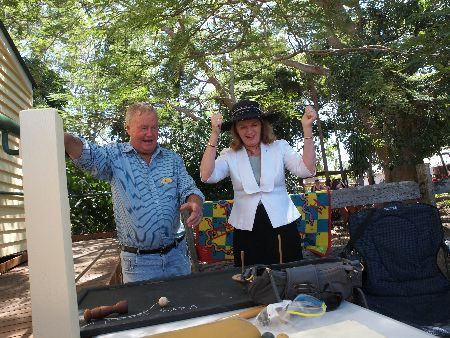 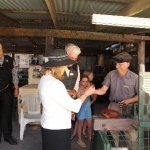 The 150th Birthday Celebrations of Hervey Bay were the highlight of our year. 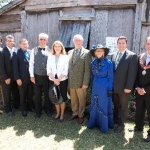 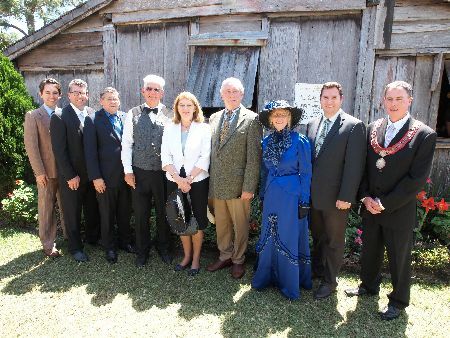 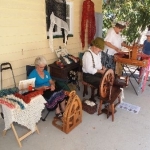 We were honoured to organise this celebration of the Bays 150 years of European settlement at the Historical Village & Museum in Scarness. 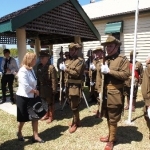 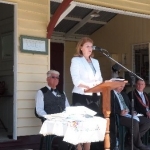 The Governor of Queensland Ms Penelope Wensley AC was our guest of honour. 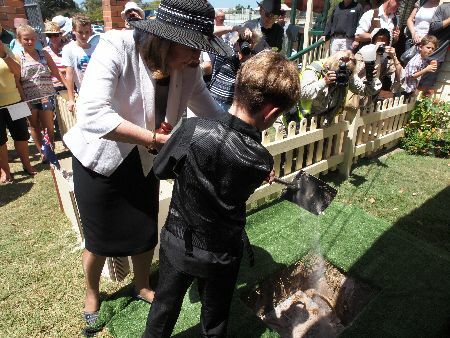 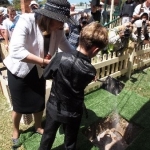 She buried a time capsule with the help of visitors and Museum members. 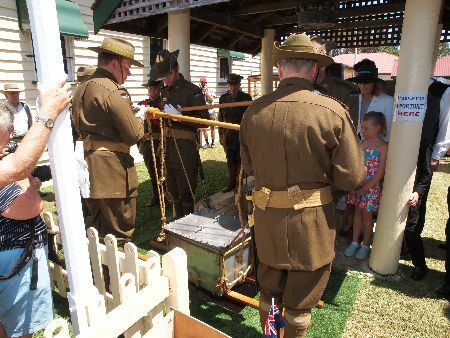 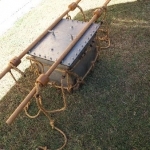 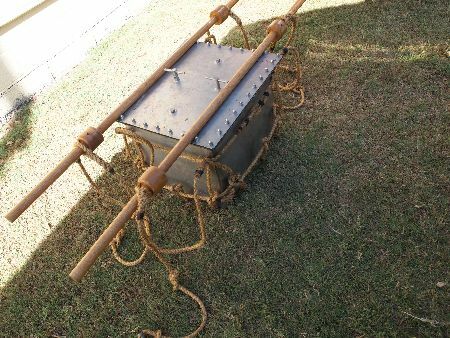 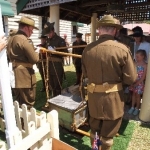 The RSL World War 1 re-enactment group carried the Time Capsule. 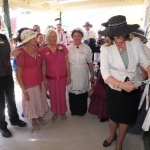 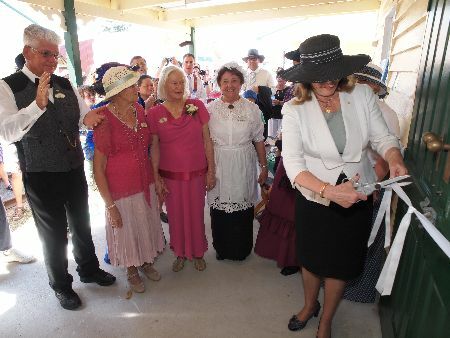 The Governor also opened our new ladies display, The Iris Beckman Cottage. 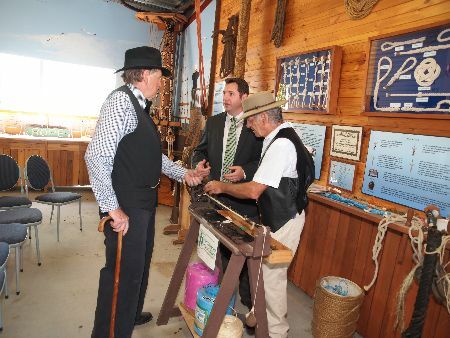 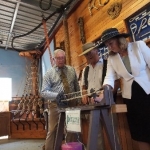 Andrew Powell MP opened the Brian Taylor Rope Display which features a 100 year old ropemaking machine on which we make free souvenir ropes from Sisal twine for visitors. 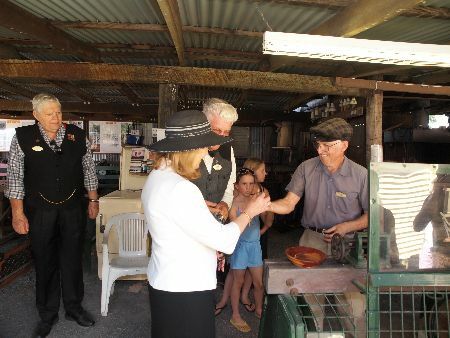 The visitors are encouraged to help. 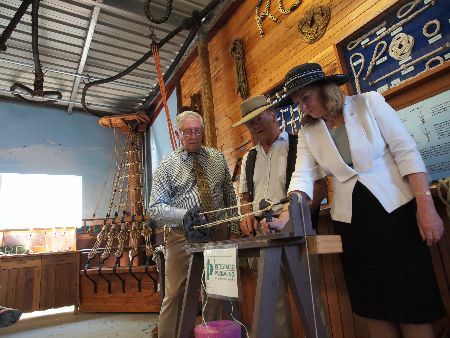 We also have as part of our display two of the Endeavour replica standing rigging ropes originally made in Melbourne in 1993 at Kinnears Ropeworks. 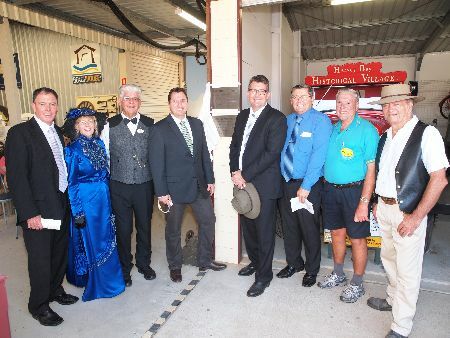 The 1920's Garage was also opened and features a restored 1934 Ford V8 Tip Truck and a 1928 Ford Model T bus. 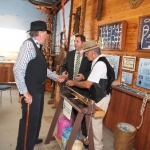 Many of the tools of the era are displayed. 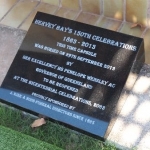 A full colour, 200 page book was produced by our members to mark the occasion. 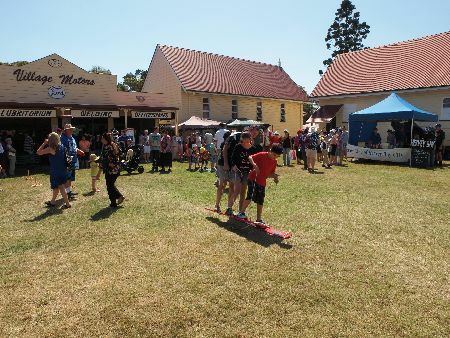 Many historic photographs are within it's pages and it is an essential read for anyone wishing to know more of Hervey Bay's history.